Hello double chin!, don't you wish you just lifted your head a little higher and it will look better? Oh well. My Bring The 70's was the first 70's inspired outfit which was more dressed up with a skirt. 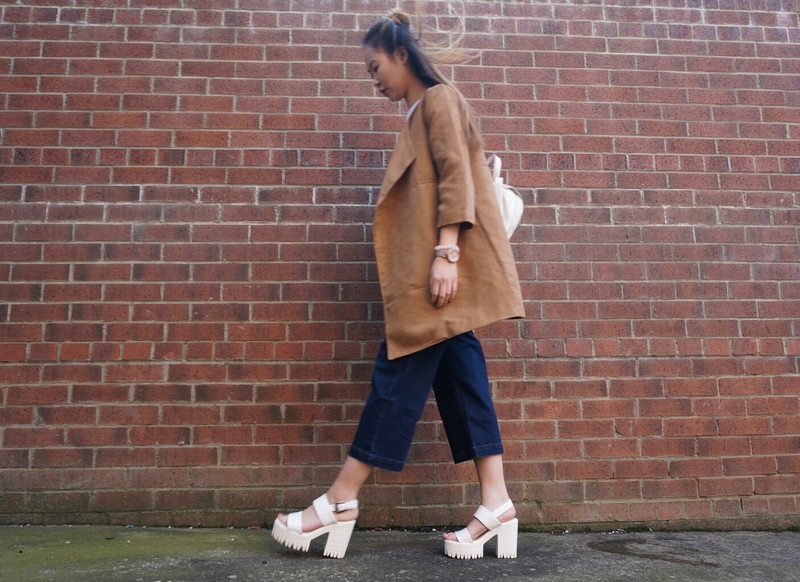 This post gives me a street-style kinda vibe, pairing white platform heels with denim culottes. Can you tell I'm ready for summer? I thought I wouldn't get any use out of these heels, since it's the first time I've worn them since I got them last year, but I've been looking into white boots. I know I have my Senso's but I want something a little bit higher and covers my toes. Am I asking for two much? - I'm picky. I'm sorry. Anyway, I am rocking my Suede Jacket from H&M via Depop, a H&M white ribbed crop top, a Forever 21 bralet underneath, New Look Denim Culottes via Asos and lastly a Asos backpack (old). Everything in this outfit is about comfort (the heels are very easy to walk in) the loose fit and causal flow- even my hair tamed into a half bun updo. Most of these items have been featured in THE WARDROBE EDIT #7 and I can't wait till the sun is actually out! Hope you've enjoyed this post! Until next time! Awww babe yet another outfit that I love so so much .. I honestly feel like you could pull absolutely anything off! 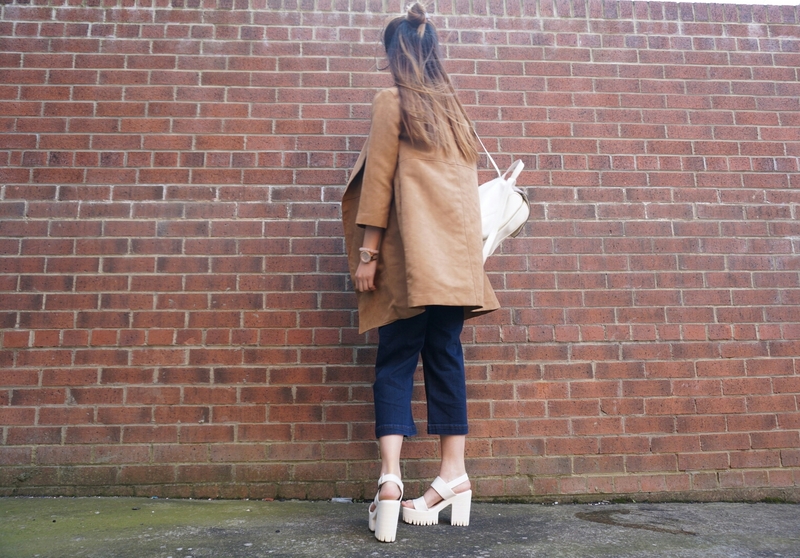 How gorgeous are those white platforms!! I need some in my life! Gorgeous look lovely! !